Many in the world today continue to question whether Jesus is God, even as people did during His time here on earth. Some acknowledge Him as a great healer, some as a good teacher, but many still see Him as just a man. A good man, they say, but just that. Just a man. But what did Jesus Himself say? We have covered Jesus' more direct claims to deity in other articles. Here we will tackle one of His not quite so direct and yet just as startling pronouncements. 21 Then Martha said to Jesus, “Lord, if You had been here, my brother wouldn’t have died. 23 “Your brother will rise again,” Jesus told her. 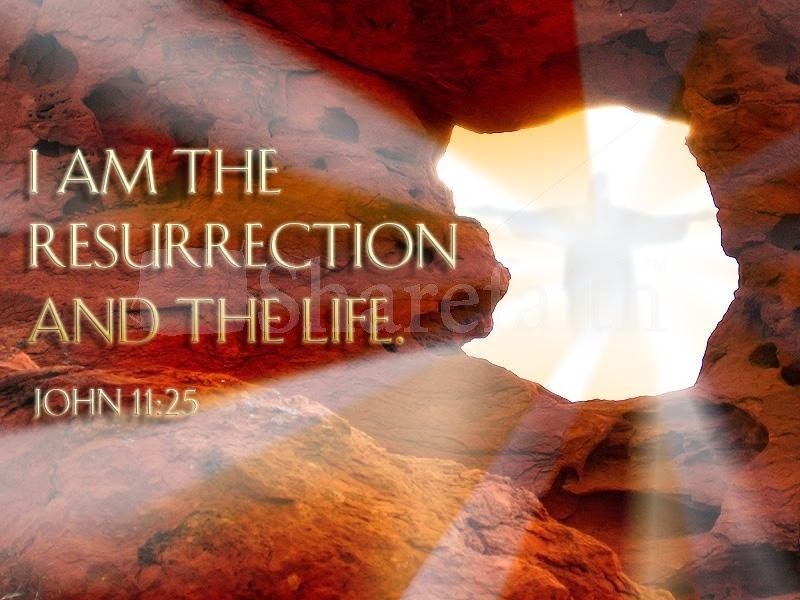 25 Jesus said to her, “I am the resurrection and the life. The one who believes in Me, even if he dies, will live. Jesus has dropped His bombshell. He doesn't point her to an "external" God. He doesn't tell her to put her faith in Someone else. He says, "Believe in Me." He says He is the resurrection and the life. Why can Jesus say that? Bingo! A theologically correct answer, but Martha still didn't get it. Moments later, when Jesus called for the stone to be rolled away from Lazarus' tomb, Martha reminded Him that it had been four days since Lazarus had died, and that decay would have set in. And she did. All the people around Him did. Jesus raised Lazarus back from the dead, giving life and health back to what just minutes before had been a rotting corpse. so the Son also gives life to anyone He wants to. Do those sound like the words of a mere man to you?